Ditch Townsend, aged 49 from Devon, is a self proclaimed Cream Tea connoisseur. Having taken a sabbatical from his work in care, he has dedicated his life to divulging the secrets of the perfect cream tea due to his love for them. Unsurprisingly he prefers the Devon method of applying cream before jam, but he reckons the key is not in the order of the application but in the flavour of the jam. 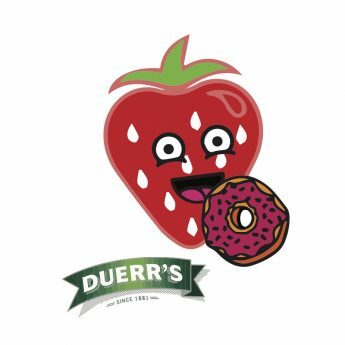 Although commonly used, strawberry is not infact the best flavour for the job and he recommends blackcurrant. 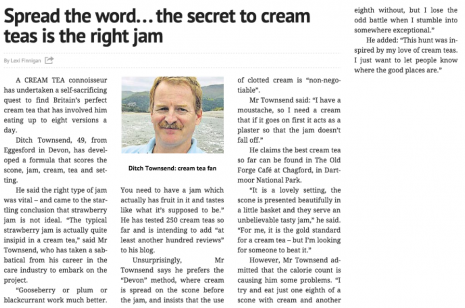 He also adds that bits are best, so those on the quest for the perfect cream tea should avoid smooth jam. Having tested 250 cream teas so far we're thinking he might know a thing or two and possibly its time to swap the strawberry for the blackcurrant! 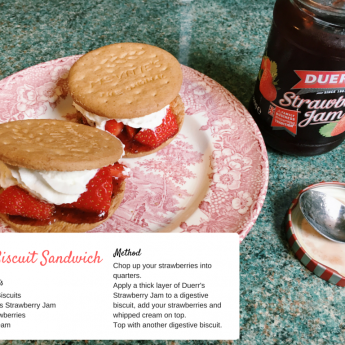 Why not make your picnic extra tasty this National Picnic Week by making these strawberry jam biscuit sandwiches? ?